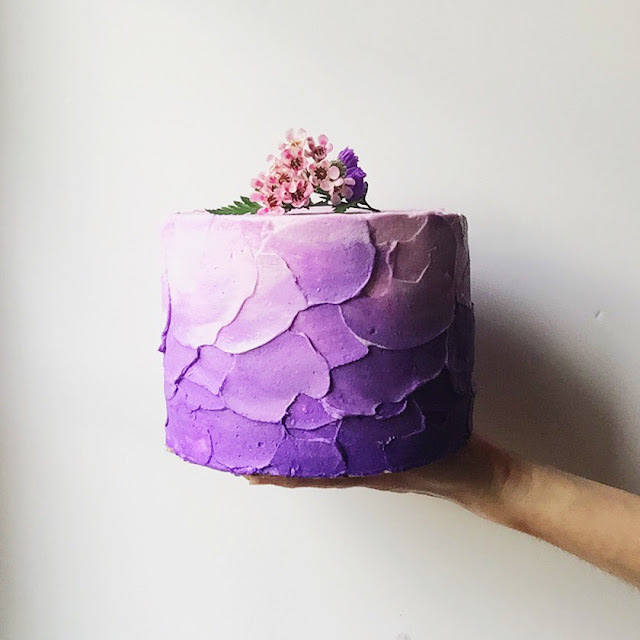 I met Kate Wood's cakes before I met her, and it was this violet beauty that stole my heart and my breath when it flashed across Instagram last year, drawing me like a bee to honey. Right on the heels of that, the chubby-faced baby appearing from time to time in Kate's photographs convinced me I had to do a story on this amazing baker whose profile declares, "I make cakes and cute babies." No lie there. In the months that followed, I got to know Kate through her witty, wonderful posts that kept me coming back for more. 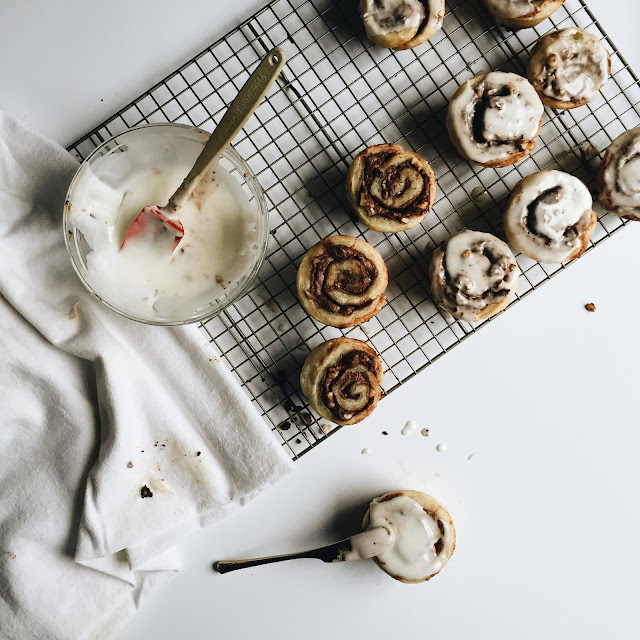 I watched as her following grew, her fame spread and her cakes appeared on The Feed Feed, a coveted boost for any home cook or baker who gains recognition from this reputable online publication featuring a global community of cooks and bloggers. Her latest accomplishment, besides another little Spoon coming this year, is her newly finished blog, Wood and Spoon which features engaging commentary and recipes for things like ice cream "so good, it's hide-from-your-husband-in-the-back-of-the-freezer-in-a-container-labeled-vegan-meatloaf good." 1. Your Instagram account is stunning, Kate. Tell us about yourself. My husband and I live in a small town in Alabama called Selma. We have been living here for the past three years where we both work as health professionals. By day, I’m a dietitian at our local hospital, and by night, I am mama to a fabulous, one year old little lady and another little guy that I am currently growing. In our spare time, my husband and I love to eat! We do so in new cities that we travel to, with friends from our home church, and on a sweet little outdoor table we have set up on a piece of property that we just purchased to build our future home. Between jobs, babies, and home planning, we stay insanely busy. 2. Where did you grow up? As a child, I moved around a bit due to changes in family dynamics. I was born in Lexington, KY, close to the town where my husband and I were married, but moved soon after to upstate New York where I spent the majority of my early childhood years. Life then took our family to Orlando, FL, and I have this move to blame for my lifelong love of beaches, Disney, and the Orlando Magic. Most people in Florida don’t really like Disney, or at least don’t appreciate it the way I think it deserves. But there’s something so nostalgic and childlike about wandering through the parks and as a result, I will always love it. This past year, we took our daughter there for the first time and I literally cried tears of joy multiple times. If I could give my children a fraction of the happiness and wonder my parents afforded me growing up, I would consider my work as a parent a success. 3. How did you meet your husband? I met my husband while doing a dietitian internship at UAB Hospital. One day, while running through the rain, looking wet and bedraggled, I saw this really attractive man on campus. Weeks later, I saw this same man leaving the cafeteria close to my office, but I still had no idea who he was. Student? Doctor? Patient? A few days later, I was sitting in the cafeteria when I could feel someone standing over me. I looked up to find the mystery man. Startled, I put down my fork and said, “Hi!” He replied with, “Hey! I’ve seen you around several times, including earlier this morning, and I told myself that if I got the chance to see you one more time, I would work up the nerve to introduce myself. So hi, I’m Brett Wood.” And with that, he stuck out his hand for a shake and smiled, revealing teeth covered in braces. I nearly choked with surprise! It turned out my mystery man was a dentist finishing his orthodontics residency at UAB. He asked me out for lunch and the rest is history! And, in case you're wondering, he had his braces off by the time we got married. 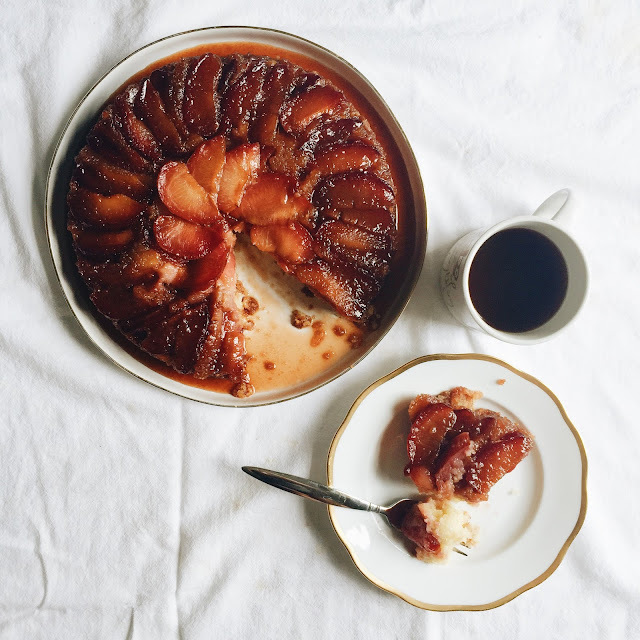 Upside-Down Cakes are the "ugly duckling of cakes" according to Kate. 4. 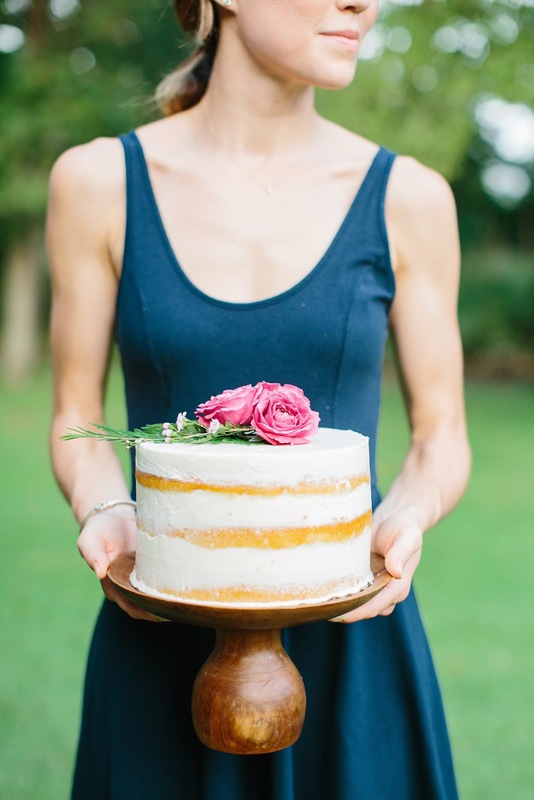 You made your own wedding cake, which is crazy and awesome, all at the same time. Where did you get this passion for baking? Admittedly, I did not come from a family overrun with cooks and bakers. Growing up, my family was on a first name basis with the service staff at most of the major chain restaurants in our hometown, and my Nana was notorious for serving a plate of cranberry sauce still in the form of the aluminum can it came from one Thanksgiving day. As a result, my love for food really wasn’t cultivated until college. After moving to Birmingham, AL for undergrad, I spent more time than should have been allowed watching Food Network and cooking shows on PBS. My attendance record in classes may have suffered for my interest in food television, but my curiosity of kitchen happenings was certainly birthed in those hours. I first began dabbling more seriously with baking after I was engaged to my husband. 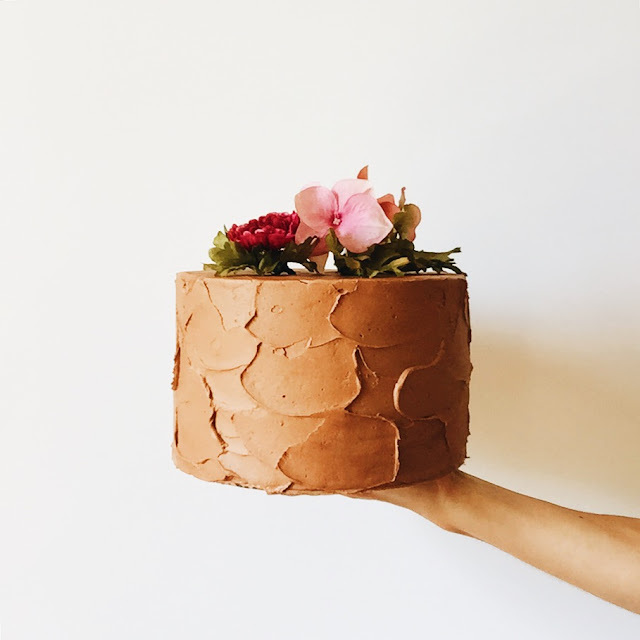 My mother, years before, had ambitiously decided to tackle wedding cake making for her homespun affair, and I decided that would be something I would attempt on my own big day as well. I fervently began testing cake and frosting recipes, and in the process, really learned the foundations of what I know today about cake making. Puff pastry with warm and crunchy hazelnut spread. 5. What inspires you? What was our life before the internet? Goodness, I spend a great deal of time gleaning information, inspiration, and excitement for my time in the kitchen just by reading other blogs and online sites. The food blogging community is an incredibly talented group of people and a huge part of the reason why I was so eager to become a part of it myself. I also have a small, but growing, collection of cookbooks that I love to flip through and peruse as though I’m window-shopping at a mall. Discovering new techniques, new flavor combinations, and new kinds of beautiful food gets me excited to create something similar with my own two hands. The thrill that comes with being able to create special things from the ground up keeps me coming back to the kitchen, excited to give it another shot. 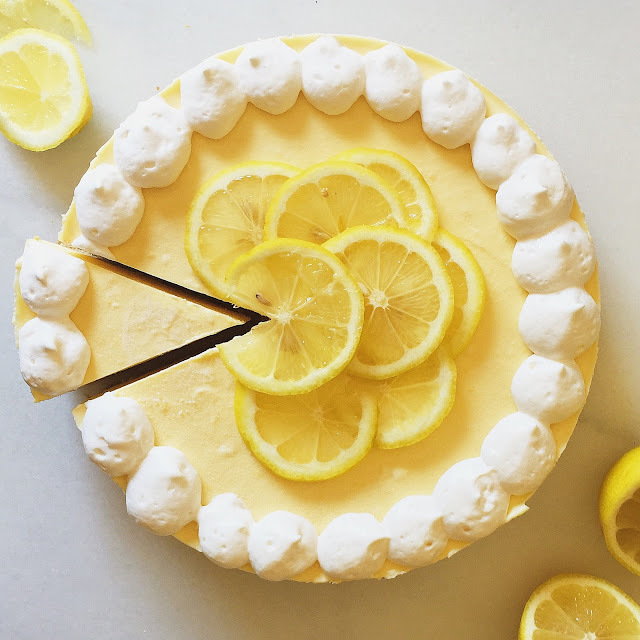 Plus, people love dessert! It’s so fun to be able to share treats with people I love. It makes the time in the kitchen worth it. 6. You joke about living in LA (lower Alabama). 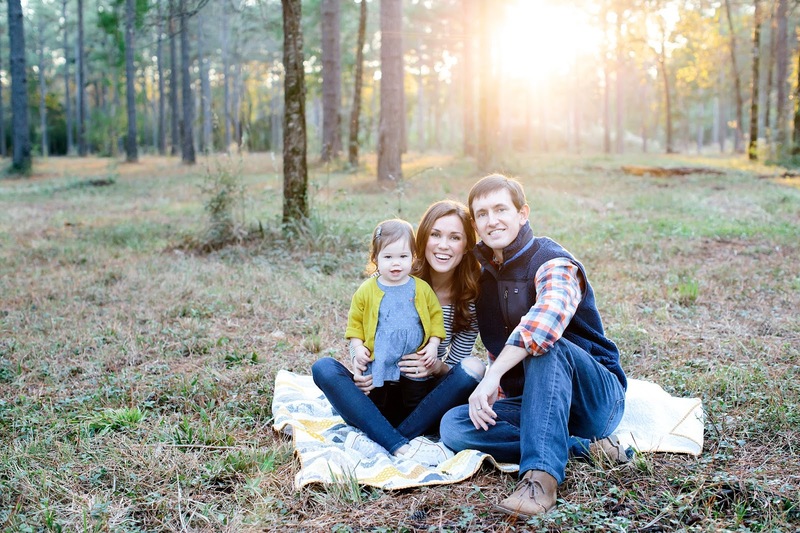 Are you a small town girl with no regrets?When my husband and I were dating, I knew he was going to be a permanent resident of this town because it was where he grew up and where he purchased an existing orthodontic practice. When we got into our car at the airport after our honeymoon, I cried the whole way home. Admittedly, I was scared and sad to live forever in a town I didn’t understand or believe in yet. Oh, how things can change! Now, I absolutely love our little town of Selma, AL. It’s a small community of about 20,000 people and it has been plagued with a lot of hardship over the years. But in three years, I have developed relationships and grown personally in ways I think would be challenging for me if I were living in a booming metropolis. Of course there are still little uphill battles some days, but the people here are genuine, loving, servant-hearted, and incredibly neighborly. Our life is so much richer because we decided to plant roots here. It’s simplified because there isn’t a lot of peripheral junk and I have really begun to appreciate that more than I thought I would. 7. 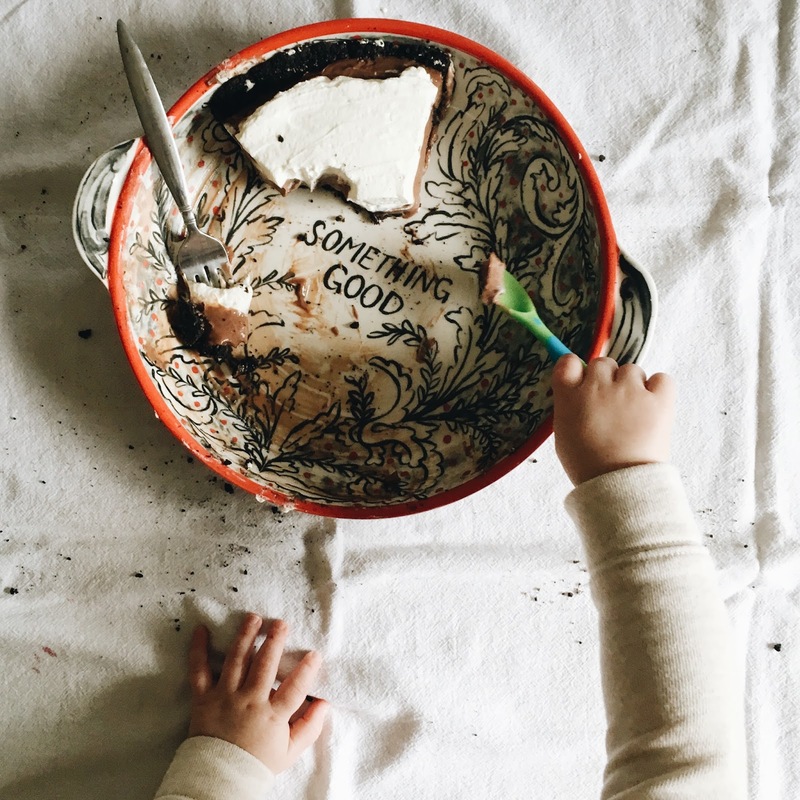 What's so wonderful about cake? I love to bake cakes. 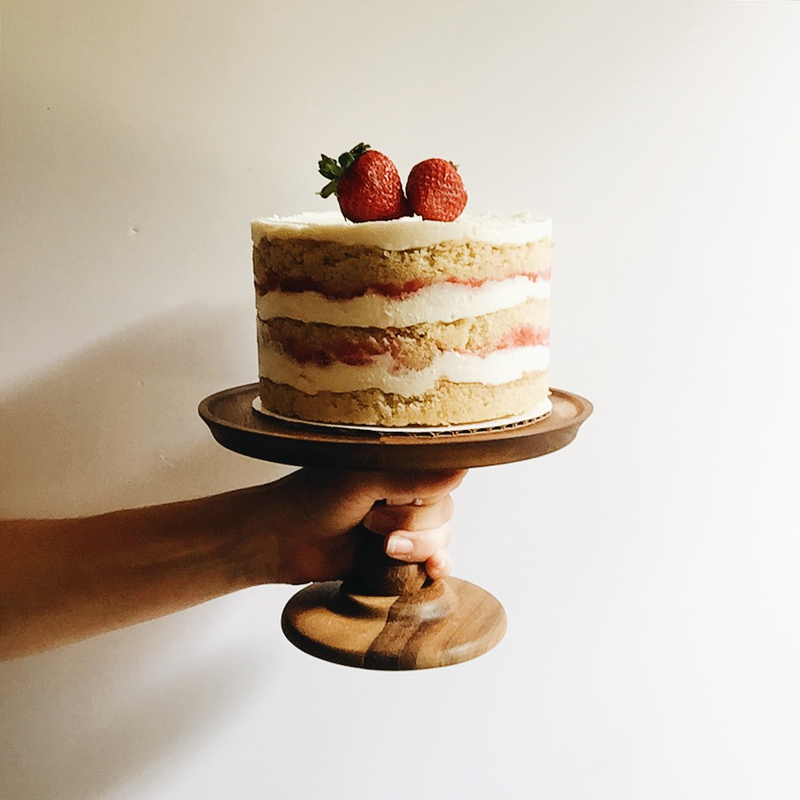 Cakes are so celebratory; you don’t bake a cake without purpose. If every day could have a substantial reason to celebrate, I would be one happy girl because I truly believe that every day has potential for something fantastic. Candles, sprinkles, little flowers and frosting swirls dancing on top of a cake- these are just pretty little reminders that something special is happening. Plus- the flavor combinations! Is there any end to the possibilities!? I also love to try new recipes. I rarely make the same thing twice unless it’s a tried and true favorite. As a result, I often can’t narrow down a “favorite” to just one recipe- there’s often two or three I like to reference and mash-up. 8. Give us a peek into your kitchen. The home that my husband and I rent is perfect for our small family, but I've found myself needing to be creative with the tiny space my kitchen offers. Poor lights, little counter space, and only a handful of cabinets leave me stuffing extra bags of powdered sugar, serving platters, and piping bags in every nook and cranny this tiny room has to offer. As a result, the kitchen has expanded into the guest room (crock pots and roasting pans in the closet), my office (a beloved and every growing cookbook collection fills up most of my only bookshelf), and a dining room where my most beloved piece of furniture, an 18th century buffet from France, serves as a cooling rack for baked goods and storage cabinet for cookware. 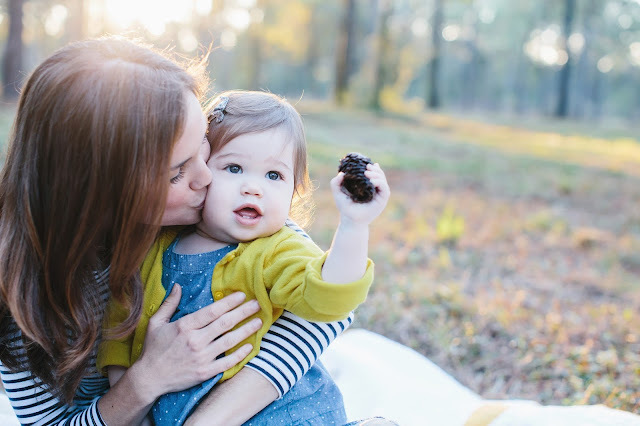 What's more fun than sharing sweets with a baby? 9. Do you have any favorite dishes? The best part of my kitchen is who I am reminded of when I walk in. Mismatched white dishes from Target were a must because my mother says they never go out of style; a small collection of Le Creuset pots that were inspired by the ones my family keeps in their lake home; and copper pieces I've collected the past few years which are similar to the ones my grandmother used to have on display in her dining room. 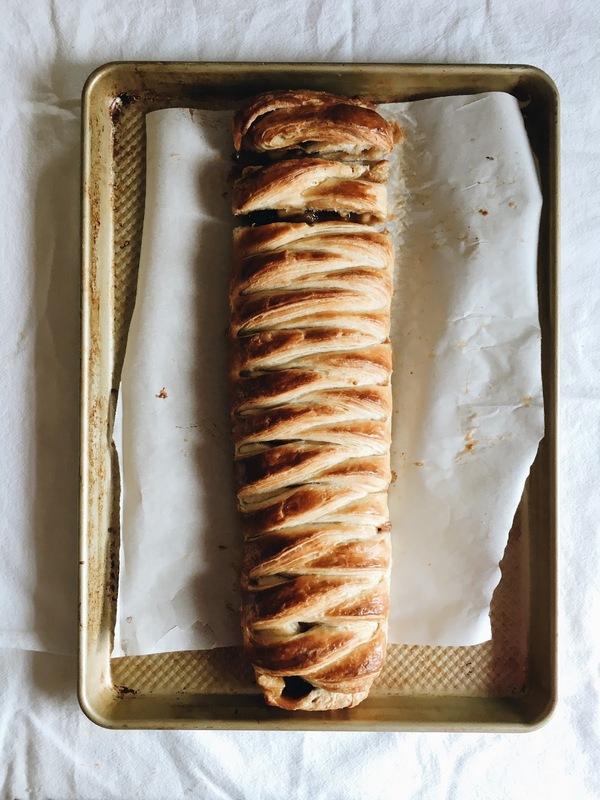 A stone fruit breakfast danish. 10. Your beautiful daughter shows up in your photos from time to time. Will she be a baker like Mama? My little cakelet, Aimee, is always close by when I'm in the kitchen. I usually pass her a wooden spoon or plastic bowl to play with, although I'm sure she'd much prefer to nibble on whatever I'm making. My hope is that we will continue to spend time together in the kitchen and that the hours spent together over the cutting board or stove will cultivate into a passion that we can share together for many years. This is my Mimi’s recipe for cut-out sugar cookies. I absolutely adore it. These cookies are soft and fluffy and the frosting is rich, creamy, and buttery- absolutely perfect. These are not the type of cookies you make if you want them to have piped details and perfect icing, but these are the cookies you make if you want to impress the pants off of all of your guests and warm everybody’s hearts with delicious, soft-baked sugar cookies. 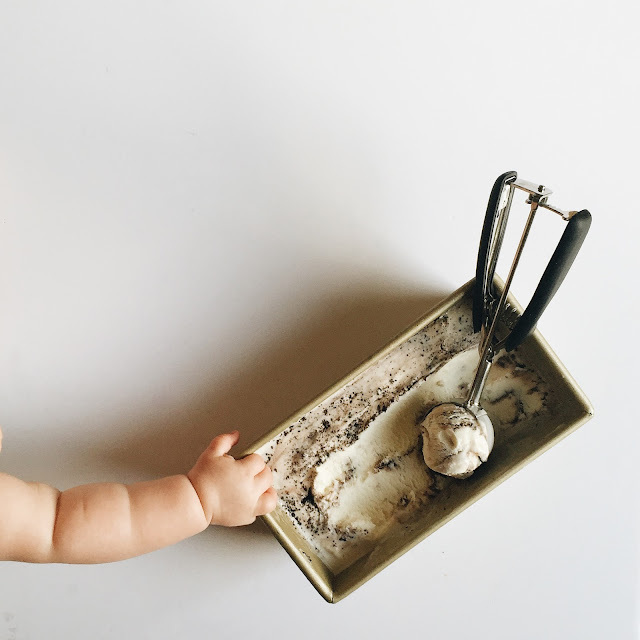 If you have pairs of little hands in your kitchen like I often do, this is the recipe you can invite them to the table to help with, and that time is the only thing that is more worth sharing than this recipe. 1. In the bowl of a stand mixer, cream the butter and sugar until smooth and fluffy, about 2 minutes. Add the eggs, beating until each are combined. Add milk and vanilla, mixing to combine and scraping the bowl as needed. 2. In a separate bowl, sift together the flour, cream of tartar, and baking soda. Slowly add to the butter and egg mixture, stirring just until combined. 3. Shape dough into two separate round, flat disks. Cover in Saran wrap and refrigerate for at least 3 hours or overnight. 4. Once ready to bake, preheat oven to 350 degrees. Roll cookie dough out on to a floured surface to 1/8-1/4" thickness, depending on personal preference. 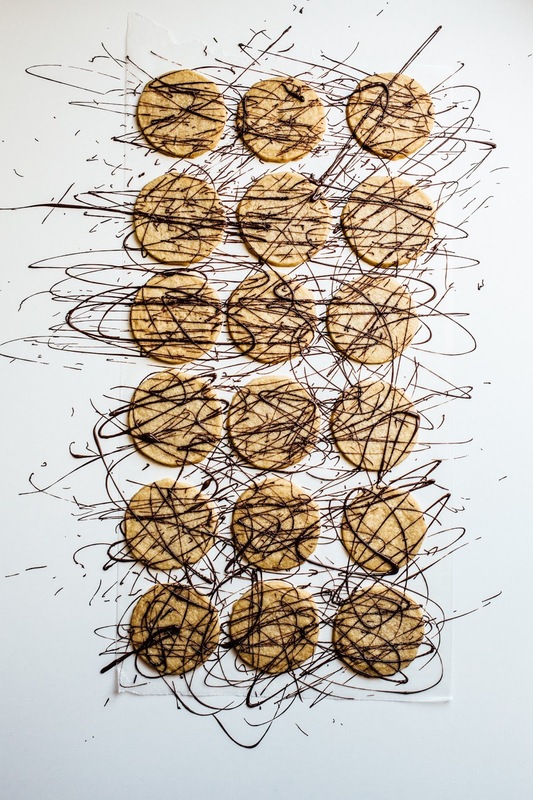 (I roll out to 1/8" inch because these cookies will puff slightly, but certainly if you don't mind a cookie that puffs and spreads a bit more, 1/4" will do). Use cookie cutters of your choice that are approximately 3" in diameter to cut our shapes, and place them on a parchment or Silpat lined baking sheet. Chill for 3-5 minutes in freezer prior to baking if dough gets too soft sitting on counter. 5. Bake for 6-7 minutes or until the center is set and the edges are just beginning to turn golden. Remove from oven and cool completely on a cooling rack. 1. Combine the first 5 ingredients and beat in stand mixer until fully combined, about 2-3 minutes. 2. Add milk in 1/2 tablespoon increments until frosting is smooth and creamy for frosting cookies. 3. Feel free to add food coloring, one drop at a time, to achieve desired colors. Spread on to cookies and store in the refrigerator. Cookies will keep in the freezer, packed in a Tupperware, for one month. All photos courtesy of Kate Wood and used with permission. Such a beautifully crafted interview Naomi. You never cease to amaze with all the talent you post on your page. I loved reading about Kate and how she cried all the way home. I can imagine. She surely has made an impression with her stunning cakes and her lovely little Aimee, is such a sweetheart. On a side note..I always wanted to live in a small town, didn't happen though:).